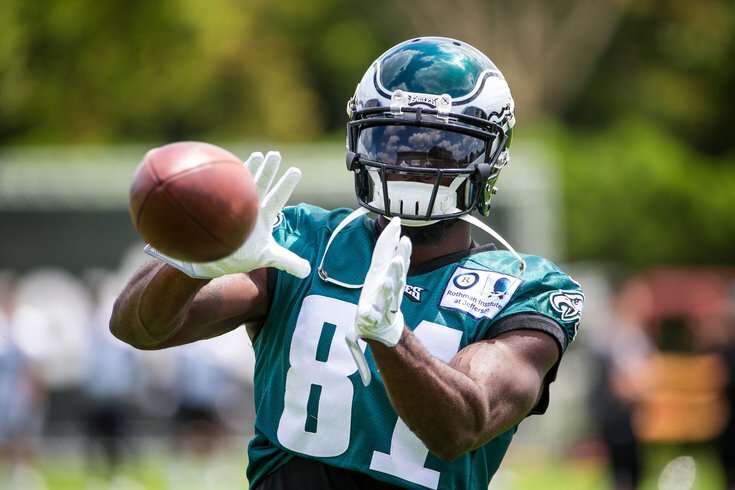 The Eagles announced on Wednesday that they have swapped out one back-of-the-roster veteran wide receiver for another, as they signed Kamar Aiken and released Markus Wheaton. Last Sunday against the Falcons, Wheaton played just two snaps in the regular offense. He was not targeted on any throws from Nick Foles. When the Eagles signed Aiken back in July, Philly became his sixth stop in the NFL, after previously playing for the Buffalo Bills, Chicago Bears, New England Patriots, Baltimore Ravens, and Indianapolis Colts. He was released at 53-man cutdowns after failing to make any catches during the preseason games. Aiken has had an interesting career, as he was an undrafted free agent in 2011 who didn't make his first reception in the NFL until 2014. In 2015, he had a productive season in Baltimore, catching 75 passes for 944 yards and 5 TDs. In the entire rest of his career, Aiken has 68 catches for 728 yards and 4 TDs. Last season with the Colts, Aiken had 15 catches on 44 targets (ew) for 133 yards a no TDs. He played 106 special teams snaps, and did not have any tackles. Aiken is probably just a depth rental while Alshon Jeffery (shoulder) and Mack Hollins (groin) are sidelined.